For the third and final day of Coachella 2018 (weekend one), Eminem was the headliner and had a number of special guests in store. The biggest of those were his Aftermath brothers Dr. Dre and 50 Cent. 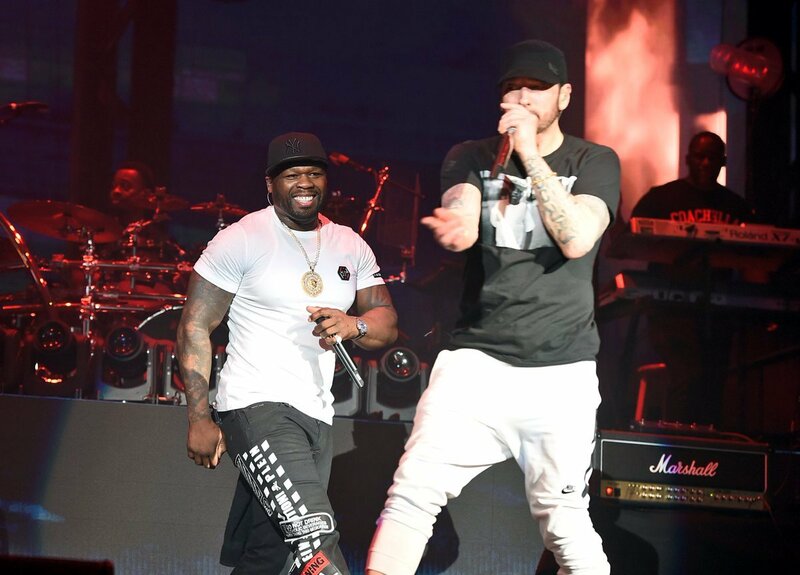 Shady brought out Dre for “Still D.R.E.,” “Nothin’ But a G Thang,” Tupac’s “California Love,” and “Forgot About Dre,” while 50 hit the stage for “In Da Club” and “My Life.” It was a special reunion.